What you need to know about cost, time, value, and how home staging leads to a faster sale. Home Staging is a marketing tool that uses decorating to show off a home’s best features while downplaying its flaws. Done right, staging creates an emotional connection between home and buyer, leading to a faster sale at maximum value. Is staging just for vacant homes? Home staging is for all homes, occupied or vacant. Staging a home with what a home seller already has is always the preferred choice, as it leads to greater savings on labor and furniture rental fees. Usually the first question I get! A better question might be can home staging help me sell faster and for more! Think of home staging as an investment, rather than a cost. That investment will depend on the size of your home, if it is vacant or occupied, if the stager will do everything or just a consultation, followed by you, the seller, doing the bulk of the work. It also depends on whether suitable furniture and accessories are present in the home or if items need to be rented. Stagers charge a fee for a consultation and give an estimate (based on an hourly fee, or a flat fee) if additional time is needed. A monthly rental fee may apply for furniture and/or accessories. On average, stagers charge $300-$500 for that initial “working” consultation and about $100/hour for their time after that. Furniture and accessory rental costs vary based on what is needed to properly showcase your home. Just like a home seller shouldn’t pick a real estate agent based on the highest quoted sale price for your home, a stager should not be picked based on the lowest bid. In both cases, the agent and the stager may be quoting that price just to get the job. You get what you pay for. Quality counts. Staging will always cost less than your first price reduction. An increased sales price of your home, faster closing, and reduced holding costs, will more than cover the staging investment and all with a whole lot less stress! the real estate agent reimburses the home seller at closing for an agreed amount (i.e. : for the initial “working” consultation). More and more Realtors are covering the cost of a consultation as part of their marketing plan, leaving any further investment up to the home seller. If you like to DIY, a home staging consultation may be all you need to properly prepare your home for sale. See the article, “Who Pays for Home Staging” for more detail. Why should I pay for home staging or a consultation? Home staging is a worthwhile investment. You are, after all, the one who will gain the most financially from a higher sales price. In addition, selling faster will be great for you because you get paid faster. It also reduces your holding costs (mortgage, utilities. taxes etc.) while your home is on the market. Your Realtor may include paying for the initial consultation as part of their marketing plan. I am on a very limited budget. How can I afford the services of a professional home stager? Think you can’t afford to hire a professional home stager? In today’s market, you can’t afford not to. For the most budget friendly option, invest in a home staging consultation. Home sellers can do the work themselves based on the advice of a professional home stager. For the best results, have the stager return for a final checkup prior to photos. 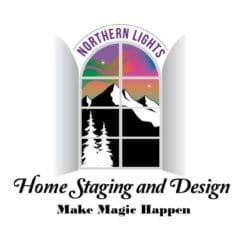 How much does it cost to do “Lite Staging”? Putting a few decorative items or sparse furniture in an otherwise vacant house is often more distracting for buyers than not adding anything at all. “Lite” staging or “vignette” staging of small areas is generally not a good investment as it does not help make that emotional connection which sells the home. It also does not highlight the home’s best features, give buyers a sense of how big the space is, or how their furniture might fit in the space. How long will it take to stage my home? This varies based on the size of your home, what is needed to best market the property, and the experience of the stager. Overall, I find that an average occupied home can be staged in 8 hours or less, and a vacant home in 2 days or about 16-18 hours. If your home is vacant, it is best to call the stager at least 2-3 weeks prior to listing. An occupied home may require less lead time, based on the staging needs. For best results, call the stager as soon as possible. What is the home staging process for a vacant home? Generally, staging can be completed within 7-14 days after the initial consultation and all needed repairs and updates are complete. Pre-staging- (usually 1-2 weeks). Home seller works on the consultation task list to get the home cleaned, de-cluttered, maintained, and completes updates such as painting, replacing flooring or lighting etc. The stager prepares the staging plan, coordinates with furniture rental companies, and prepares art, accessories, and furniture for transport. Staging- 1 to 2 days on site. De-staging- 2-3 hours. Prior to closing and after inspection is complete and/or contract is signed. What is the home staging process for an occupied home? Consultation– Up to 2 hours. Pre-staging- (usually 1-2 weeks). Home seller works on the consultation task list to get the home cleaned, de-cluttered, maintained, and completes updates such as painting, replacing flooring or lighting etc. The stager prepares the staging plan, coordinates with furniture rental companies, and prepares art, accessories, and furniture, if applicable, for transport. Staging- As little as a few hours or up to a full day. Sometimes it can be done directly after the consultation. Please visit my Services page and call to discuss details. Can I do the staging myself? The most effective and budget-friendly approach is to invest in a consultation with a professional stager. Follow the stager’s advice and do the work yourself. For the best results, have the stager come back for a final checkup prior to photos. See my article, What is the Cheapest Way to Successfully Stage Your House? Get a Home Staging Consultation. Can my Realtor do the staging for me? It is always faster and more effective to hire the right professional for the job. If your Realtor is not a professional stager, it is better for your bottom line to hire a professional. Wouldn’t you rather have your Realtor spending his/her time finding the ideal buyer for your home than staging it? Every home can benefit from a 2-hour home staging consultation. There is always something that can be done to raise the perceived value of your home in the buyer’s eyes. A small investment in a home staging consultation can increase buyer appeal, reaping large rewards in the final sales price. Do I need to stage every room? Every space in an occupied home should be staged for a consistent look-and-feel throughout. For vacant homes, it is critical to stage the main rooms, awkward spaces, and any areas that add value to the sales price such as a potential rental unit. When rooms are left empty, buyers may wonder if you have already moved out or are desperate to sell, encouraging low offers. Does my Realtor need to be at the consultation? Some agents never attend, some always attend, and others attend occasionally or a few minutes only. Your agent is always welcome to attend any or all of the consultation but the real key to success is your willingness to go along with the staging recommendations. Does the stager coordinate all the contractors such as painters, maintenance people, flooring specialists, etc.? Stagers can recommend trusted, professional contractors. For owner occupied homes, you as the home owner will find it faster and more convenient to coordinate these contractors yourself. For home sellers living away from the property, the stager can easily coordinate all. Do you rent furniture and accessories so I can stage it myself? Most stagers are not rental companies and do not offer this service separately if they are not staging your home. When staging your property, your stager can coordinate furniture rentals and may have accessories for rent for your staging. Is it important to find a stager that has their own inventory of furniture and accessories? For vacant homes, the most important thing is the end product and that the furniture matches the style, size, and purpose of each room. Stagers may have or can rent up-to-date furniture and accessories that are perfect for your property. What should I look for when selecting a home stager? Even though there is no legal licensing or training requirement to become a home stager, do your homework. 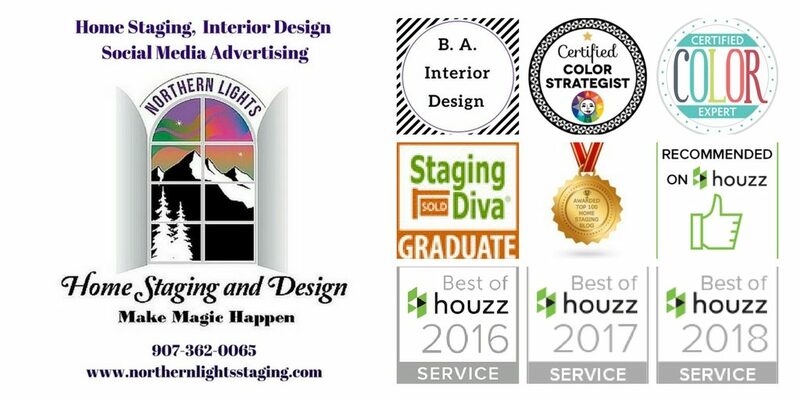 An accomplished stager will have good reviews, training and proven natural talent to get you great results. See the article on tips to hiring a great stager. Can home staging help me sell my home faster and for more money? 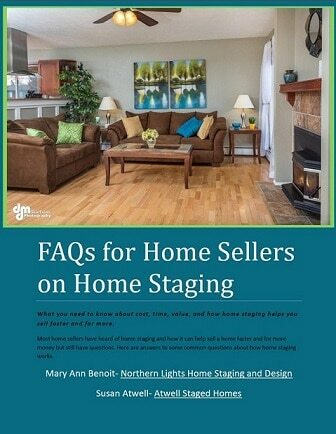 Various reports (see Resources) publish statistics on the benefits of home staging. A 2017 report by the National Association of Realtors states that at least 50% of Realtors think staging increases the dollar amount buyers will offer to pay for a home by between 1 and 10%. Also, homes that are staged first before listing spend 90% less time on the market. See the summary of some of the 2017 findings from the National Association of Realtors. Should I list first and stage later if my home does not sell? The RESA Home Staging National Statistics Report found that homes that were staged first before listing, rather than after listing, spent 90% less time on the market. The longer a home is on the market, the less desirable it becomes. Just like food, a home for sale becomes stale in a very short period of time. 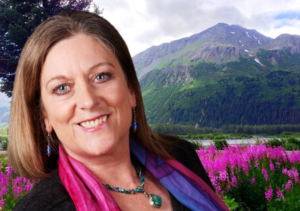 See the article, the “Big Bang Theory of Home Staging”. Why should I invest in home staging in a seller’s market? Home staging works in every type of market. Even in a seller’s market, there will always be homes that do not sell quickly. Staged homes generate more interest on the web and in person, by creating move-in ready homes that feel fresh, spacious, and up-to-date. All these conditions lead to higher offers, potential bidding wars, and greater profits for you. The truth is that nothing is more inconvenient and stressful than selling your home. A good home stager will be a great asset to your home selling team. They will make your house look great, help you make the most money by selling quickly, and be a great coach and supporter to you throughout the process. Their number one goal is to help you! Having realistic expectations of the process, time, and energy involved will help you be successful. The article, An Inconvenient Truth About Selling Your Home is a must read. Do I need professional photos! Professional photos will highlight your for-sale home making your listing outshine the competition. The combination of home staging and professional photos will capture a buyer’s interest online, compelling them to visit your property! See my article, “Preparing for your Photoshoot”; to make sure your rooms and the photos look fabulous. Your Realtor may pay for professional photos. Will I be able to live in my staged home? Keeping your house “show ready” can be stressful. Your stager will give you helpful tips for staying organized and comfortable while living in your staged home. And, best of all, you’ll never have to turn down a showing because you’ll be able to show your property at a moment’s notice. Click here to get a free copy of this report. An Inconvenient Truth about Selling your Home. Home Staging Consultation: Should Realtors Attend? Home Staging Proof: Solid Science Proves Staged Homes Sell Faster. What is the Cheapest Way to Successfully Stage Your House? Get a Home Staging Consultation.